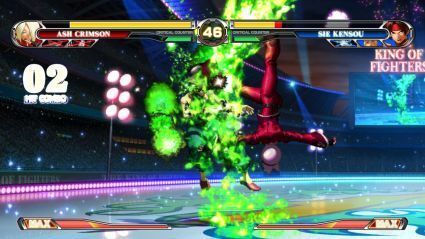 The King of Fighters series has always been the underdog when going up against popular arcade games such as Street Fighter, Tekken, Dead or Alive and Mortal Kombat. This could be chalked up to the unique three-man team scenario it employs, rather than a simple one-on-one. In gameplay, this means that instead of spending all your time and effort to perfect a single character’s fighting style, you need to triple that effort and learn to use three different characters. In King of Fighters XII (KoF-12), developers SNK Playmore have devised a new way for you to get acclimatised with the different characters by introducing the ‘Random team’ option to get new players for each round. If you are new to the game, it’s a perfect way to experiment and find out which character you like best. What’s more, the character count has gone down drastically. While previous titles have had over 40 characters to choose from, KoF-12 has a disappointing total of just 22 players. As with any sequel, a few new characters crop up, such as Athena, along with console-exclusive characters: Mature and Elisabeth Blanctorche. Another letdown is the lack of a storyline, unlike previous KoF games; this way, you just aren’t involved enough with a character to care. Consequently, the straight-batted ‘five round, winner takes all’ approach meant that we cleared this game in about 30 minutes in Normal mode without much delight – especially given the lack of challenge it was. But to be fair, true enjoyment with an arcade game like this lies in playing with an opponent, uttering whoops of delight as you smash them buttons! KoF 12 does have a few new additions in terms of gameplay, with the most prominent being the Critical Counter and the Guard Attack. Once you activate a Critical Counter, you have a limited amount of time in which you can stack up multiple combos and finish with a super attack/special attack, causing a lot of damage in the process. Guard Attack gives you the chance to parry your opponents’ oncoming blow. The drawback with this is that once you get a hang of the timing, it can be done very easily and to about anything, reducing the difficulty level a lot. 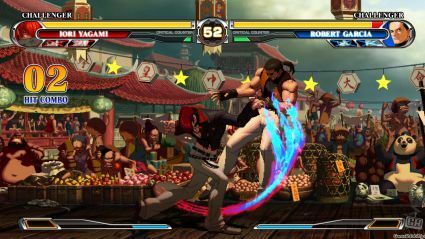 As for the graphics, KoF-12 sees a complete revamp of all the character sprites as well as the arenas. Although the characters have been made larger – and in turn, clearer – SNK hasn't done the best job of keeping them in proportion to the earlier KOF. For example, Joe Higashi is even thinner than before and Iori just doesn't seem to have the attitude he was renowned for. 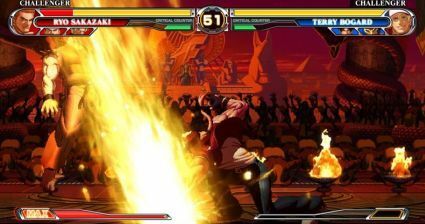 In general, the look of the game is a bit of a letdown as the revamped title still uses 2D sprites and backgrounds instead of exploiting 3D versions of the same, the way Street Fighter 4 has. Overall, King of Fighters XII does lack a polished finish and does not drive you to keep playing it. But as mentioned earlier, this is a title enjoyed best with another person, so you can see his face when you're done finishing him off. But if you don't have access to play this on Xbox Live or PSN, then this might not be all that great a game to purchase. PS3 super slim could make Sony king of the hill? which is the king of android phones LG G3 , HTC M8 , Nexus 5 or samsung s5?